Hallyu star Jang Geun Seok and director Yoon Seok Ho, who produced the drama "Winter Sonata," have decided to work together. PR agency Y Tree Media said on August 9 that Jang Geun Seok has been cast as the protagonist of director Yoon Seok Ho's new work entitled "Love Rain" (working title), which will begin airing from the first half of next year. Writer Oh Soo Yeon and director Yoon Seok Ho, who worked together in the popular dramas "Autumn in My Heart" and "Winter Sonata" ten years ago, will work together again for the drama production. The agency revealed that the drama will be about love transcending the ages both in the 1970s and in the present time. Jang Geun Seok will play the double role of the character Seo In Ha, a sentimental artist who loves only one woman in the 1970s, and Seo In Ha’s son named Seo Joon, a photographer who is freewheeling in his work and love. “Love Rain” will begin filming from next month with a target air date of the first half of next year. 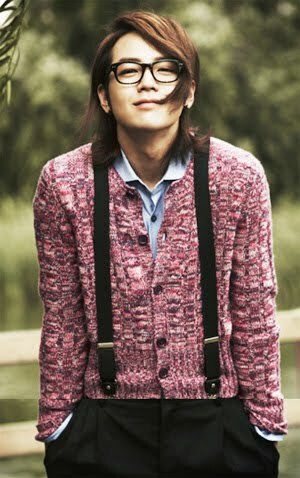 I've been a fan of Jang Geun Suk since YAB! I can't wait to see this! YOU'RE BEAUTIFUL FANMADE OST THIS IS THE FIRST OST I MADE FOR YAB, have fun!